For a patient, a pressure injury can be a devastating experience that is both frightening and extremely painful. Even a small wound requires comprehensive treatment to ensure it both heals effectively and does not develop in severity. 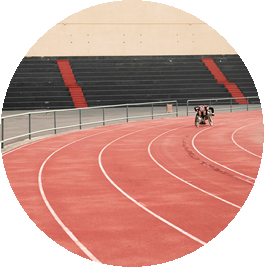 Peter Genyn, a world-record holding Paralympic athlete, knows better than anyone the potential consequences of a pressure injury. 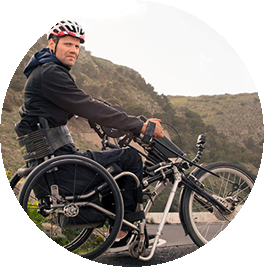 After a childhood accident that resulted in a devastating spinal cord injury, Peter is constantly at risk of developing the wound. He has experienced the injury first hand. For patients with reduced mobility, pressure injuries represent a significant and potentially life-threatening risk. As an elite athlete with a demanding training schedule and competition circuit, Peter sought expert clinical advice immediately. At Arjo, we work to ensure patients have access to solutions best suited to their clinical needs. Our range of support surface solutions help to reduce the risk of pressure injuries and provide support to patients with existing tissue damage. Read more about our range of support surface and the options best suited to your unique clinical needs on our pressure injury prevention section.